Prof. Hoppe makes a number of important points that few would make. And he makes a number of important original insights. labels as "live and let live" libertarians, which strikes me as a label that some might apply to Private Property Society advocates. 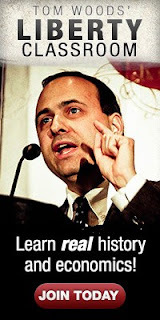 However, the neighbor problem he describes as a problem with "live and let live" libertarians wouldn't apply in a PPS. The market would solve that problem in a PPS. I don't want to live around, say, white trash, so I would look to live in an area where housing developers didn't allow white trash. Problem solved. Also, it appears that he probably has some objections to groups from some regions of the world that I don't have a problem with, when immigration is considered. I, for example, have both Nigerian friends and Ethiopian friends. These friends are smart and classy people. It appears that Hoppe under his immigration plan sees fewer people from these regions immigrating to the US. I don't have the same concern he does---though I don't want anyone coming into the country who is going to be on the government dole. That said, if others have a problem with people from a given region, I feel no urge to start a public relations campaign to change their minds. The entire concept of what other people think about race is not a "problem" that registers on my value scale of things I need to deal with in any way at any time. Live and let live. And in the end, I think Prof. Hoppe would agree with me that in a libertarian society where the state does not exist, the immigration problem disappears in that individuals on their private property get to determine who they want on their property--end of the immigration problem. With those qualifications and a few other minor points, this is a brilliant lecture. We should all learn from it on how to speak truth to the world. Find the time to listen to it. It's one thing if the alt-right wants to ban brown people from their PPS trailer park. It's an entirely different thing for them to use the state to impose their race fetish on an entire continent. Yeah, but it's totally okay to import third world immigrants here who have no skills and leech off the system because you don't want to get called a racist. Thanks for posting this Bob. I believe you tube had pulled it for a bit. I think that any and everyone could learn from the Great Hans Hoppe! anyone openly advocating communism, socialism, syndicalism and democracy in any shape or form is thereby posing an open threat to all private property and property owners and must be physically removed from the community, by violence if necessary. On the face of it this position seems to me to violate the NAP, unless one defines “open advocacy” of these social/political systems as aggression. He goes on to say that not to remove said advocates inevitably leads to these unwanted social/political systems. But it doesn’t follow that this will necessarily be so. I suppose that might be true if enough people in this PPS were unhappy with it and were open to these other kinds of society. 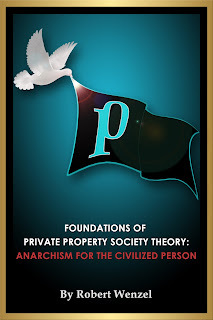 However I’m assuming that this PPS exists because it’s members believe it is superior to these alternative systems; that the advocates of communism are an inconsequential minority who the rest of the community can easily argue down and ignore if they are simply arguing and not using violence or threatening to use it to get their way. To me it seems like an empirical question. Someone's political beliefs may only represent a small fraction of their total impact. Suppose someone is a statist, but they're also insanely productive. It's entirely possible that, on net, they're a significant asset to the society. It doesn't seem like it would be efficient to demand ideological purity. You'd end up weeding out plenty of otherwise beneficial members of the community. I too was troubled by Hoppe's view that physical violence should be used to remove those advocating systems with which one might not agree (but, I take it, not actually initiating physical violence themselves). He started out talking about one non-violent way to deal with "bad neighbors" -- by communal shunning -- but then made a huge and unexplained leap to the use of physical force. I just don't see how initiating such force is compatible with the NAP. There are other ways for communities to deal with this pre-emptively, such as covenants binding property which require the consent of the community before someone new can move in (e.g., the co-ops in New York City), or those who care enough pooling their resources to buy up properties for sale and imposing their own filters on new tenants. Such improper use of force, however, is consistent with Hoppe's view that, in today's world, the state should control immigration. I don't have a problem with his desire to live in a community only of like-minded folks, but it seems that initiating force to get there is an unjustifiable route. It simply says "If I can't get what I want peacefully, it's OK to use force."